Does your three or four year old get 30 hours free childcare? Parents could get 30 hours free childcare for your three and four year old? You have until Monday 31 December 2018 to reconfirm your eligibility to ensure your child continues to receive their 30 hours free childcare in January 2019. Working families now have the opportunity to get up to 30 hours free childcare each week. Children's centres are where families with young children can go to have fun, meet new people and get the support they need. If you live within 2 miles of one of the following postcodes, Watford - WD25 0DX, Harpenden – AL5 5BQ, Hoddesdon – EN11 0LN, Baldock – SG7 6HD, you may be eligible. 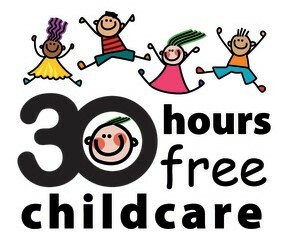 Eligibility for the 30 hours free childcare will be determined by the HMRC eligibility checker. Is there enough childcare available in Hertfordshire? We would like your feedback on the childcare options available for you and your family. Hertfordshire County Council has to ensure there are enough childcare places for children of all ages. Your support in completing a survey will assist in the planning of childcare places throughout the county.